Living Life To The Fullest. Pushing the Extreme Limits. A new dimension of an extreme fit life with endless possibilities. A world where speed is important. You have to be fit to enjoy life to the fullest. Wheysted created a movement which understands and completes your extreme busy but successful life. We are here to give you that extra motivation. That extra boost for you to use to make your dreams come true. It’s not just a supplement. We created Magic. We formulated products that will assist you in your everyday activities whether it’s an hour of Interval training, a yoga session on the beach, an extreme sport or an extreme stress-full financial report you have to finish today. We are here to give you and edge. Products to boost your immune system, speed up your recovery, or get you though a heavy workout. Once we see the benefits of the supplements, we will see the huge success it brings to the table. We are here to set new standards of quality. We are here to push you to a next level of quality living. 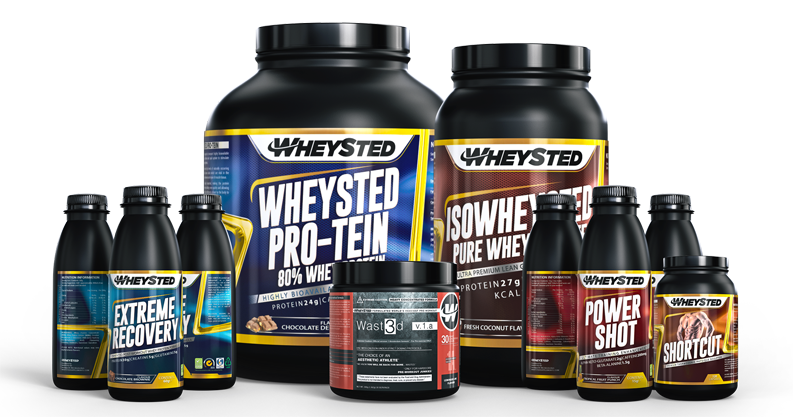 We are team WHEYSTED. We tried to focus on creating a product to support the life of hard-working successful people. Whether it’s in sports or financials, we want to give you the edge for your profession. We succeeded. Now it’s your choice to grab this chance and upgrade your live to a new level of ultra-fit. All products are doping-free and our procedures are audited four times each year to ensure that we maintain our services to the highest standards. Our internationally recognised ISO 9001-2008 certification allows us to ensure that our manufacturing production is safe and effective. We understand and support your worldwide vision. We ship your products worldwide so you can benefit whenever and wherever you are in the world. Special packaging will make sure that our quality supplements are ready for -100 degrees Celsius. With various shipping possibilities, no continent is left out. That is what we would like to call it. We enhance your life. We help to reach your goals. To Recover and then conquer again. Over and over. In the safety of your house, On the go or in the field. We are here for you.